Pieces of Eight by Ian Richardson. Cork City Marathon by Ian Richardson. "It was a great event, well organised and very friendly. I really would like to go and do it again, preferably with more time to see the place." Transvulcania and Windermere/Kielder Duathlon by Malcolm Cox. "They (marshals) and their organisations (Free Masons, lions clubs etc.) 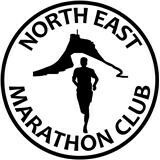 help make this a bucket list MUST do marathon (but unlikely PB)"
"As a relative new member, it was pleasing that many runners on the course (recognising the club logo on my vest) had heard of NEMC and a few had run in our events, all had very positive experiences and planned to run in them again." "It’s a long way to go, but a great event and fabulous value at £15." This is a lovely little event, very much in the spirit of NEMC events and deserves to be much better supported, particularly as it supports worthwhile charities. A really pleasant low key event that has given me confidence for stuff a bit longer than a marathon. The course itself was quite varied and mostly followed the nearby river. Conditions under foot went from tarmac to gravel and some muddy bits. It was all perfectly suited to road shoes. The most awkward part was the camber, or lean, on parts of the course, which had runners looking for the least inclined part each time we reached such a section. 14 laps of the Meadows in Edinburgh seemed a reasonable enough ask, but the wind and rain didn’t lend itself to running or spectating. Nor did the cobbles, and tight turns into and out of George Square which had to be negotiated at the end of each lap. Personally I’d rather have done 15 (or however many) pure laps of the Meadows than put up with the unnecessary climb up to George Square and those cobbles. To my surprise I find myself entering into George Square with the opportunity to knock over a minute off my Maltese time. Mission accomplished...bring on Edinburgh (again)! Would I do it again? This is the 30th Malta Marathon, The actual number of runners in the marathon was in the hundred’s rather than the thousands, so it probably needs the half to make it viable. I like the split start, which doesn’t impede the marathon runners…. Or at least it doesn’t impede the slower marathon runners. However, unless I return to my former fitness, I wouldn’t do it whilst the walkathon was on. It was a long drive there and then back the following day, but well worth it in my view, to support an event in a good cause and organised at a time when others shy away from organising events due to weather concerns. I shall be watching out for future events by these people, as their low key and friendly nature very much appeals to me. Regular readers may recall that I did an evening version of this event in August 2013 and did not enjoy it one little bit. I swore to myself that I would never do it again. That seemed unfair on a well organised event that was dominated on that occasion by storm force winds, so I decided to give it another try. After all, if the weather was awful in August, surely it would be lovely in December? Maravan Double by Ian Richardson. "The splendid goody bag contained beer, crisps, a stick of Cleethorpes rock, and some embrocation packets. A good haul, complemented by a decent medal. I left with very good memories of a well organised first event for Darren, and the thought that I would be very happy to do it again." "This was a very well organised and thoroughly enjoyable event...If I find myself in the area next year, I would certainly do it again." Donegal day 1 by Ian Richardson, Donegal day 2, Donegal day 3, and Donegal day 4! Two Castles by Mike Trant. Chester Marathon by Mike Trant. Have a look what our globe-trotting Club Chairman has been doing while we struggle with dark morning runs! Dundee Marthon by Jim Manford. "This is a lovely low-key event that nicely fills a gap in late July when there aren’t too many marathons on in the UK. It started three years ago now, tacked on to the back of an established half marathon on the same day. I’ve done all three of them and am pleased to say, that after initial teething problems, the organisers have now succeeded in getting everything spot-on." "The marathon route consisted of two separate, unequal laps. The first 16+ km involved a circular tour around the city’s perimeter including the islands of Gamla Stan and Soderman. After 18km the course spent the next 10 km or so meandering around the parklands of Ladugardsgardet and Djurgarden before reconnecting with the original lap again at 28km and repeating the remainder of this to culminate in a Stadium finish. Spectator support on the two city laps was plentiful with Saturday shopping crowds helping to swell theranks of bystanders." Osmotherley Phoenix (A long hot day in the Hambleton Hills) by Louis Coles. St Oswalds Ultra (bloody hell that was long) by Louis Coles. The first time this event has been organised by TRI events. A point to point ultra from Lindisfarne with 50k/100k/100m options, finishing at Craster, Rothbury and Chollerford accordingly. The bus picked us up at 5 in Craster for the 7 am start in the gloom. The route takes you inland before hitting the coast (using the route of the Northumberland Coastal Marathon®) down to Warkworth. Then heading inland along the Coquet to Rothbury. Next over Simonside and south to the Tyne Valley and Hadrians Wall, before the final downhill from Heavenfield to Chollerford. Wakefield Marathon by Steven Prentice. Brathay Windermere Marathon by Wendy Nail. March 31st: NEMC Members Marathon, The Leas. "Overall I found this a fantastic day out, the views were stunning, the route was challenging and incredibly well marked, all the staff and marshalls were as friendly as you could ask for, and in terms of value for money I don't think you'd find much better, the entry fee was just 30 pounds. If you like a challenging course and don’t mind some very steep hills and getting a little bit dirty then I would wholeheartedly recommend this one to anyone - a great trail run very well organised."